Eadric the Pure is a 7 Mana Cost Legendary Paladin Minion card from the The Grand Tournament set! Battlecry: Change all enemy minions' Attack to 1. Rating: 3.4/5. From 223 votes. This card depends on what you meet. very good against handlock, druid, but worse against other. 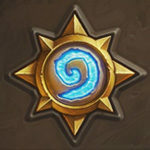 we will need a change in the meta for this. 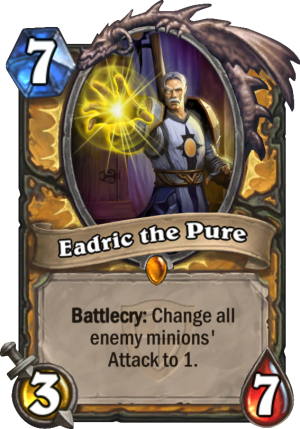 With a lower cost (And subsequently lower stats) This could be a good counter to aggro, but I don’t see a slot for it in the current meta.